I think I have mentioned before my little blog crush on Asia & her blog Fun at Home with Kids. It is a site I can loose myself in - make endless lists of projects & ideas to do with the little bunnies. So imagine how excited I was to get this through the post. S is her adorable four year old girl who seems game for any messy fun project - and I love that! 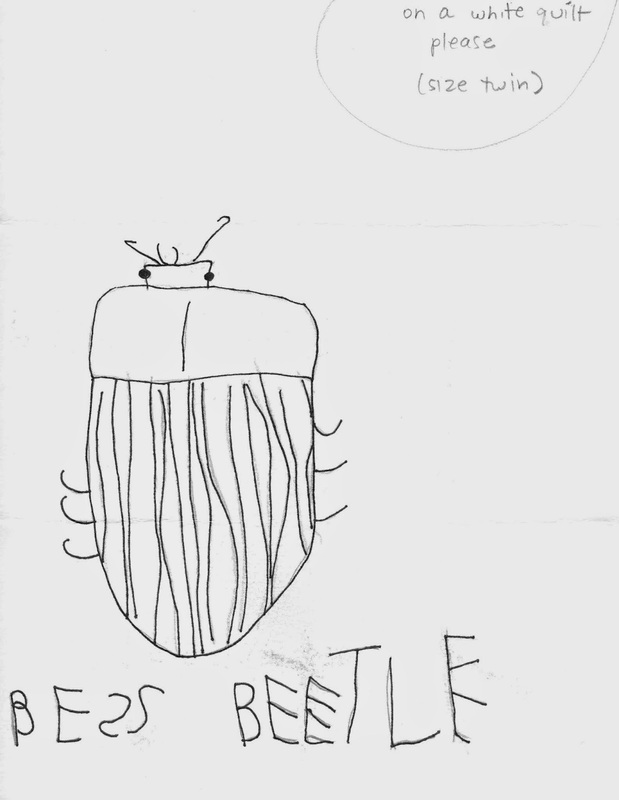 Bess is her pet beetle!! And I have been asked to make a children's art quilt for them. I can not wait to start work on S's quilt. I have lots of ideas - lets hope I can put them off!